Even as the University of Virginia Medical Center begins a nearly $400 million expansion to its emergency room and adds six stories of state-of-the-art private patient rooms, timeless lessons from a now-crumbling, largely shuttered 19th-century hospital just two hours to the north remain relevant. So says UVA nursing doctoral student Elizabeth Hundt, who’s spent the last year studying the nation’s first federal psychiatric facility, constructed on a 185-acre farm overlooking the Potomac River near Washington, D.C., for her dissertation. Hundt, a long-time critical care nurse practitioner, long believed that ferrying even her sickest patients out of doors aided their recoveries, and would go to great lengths to walk or wheel them – sometimes still in their beds – outside. Such environmental changes seemed to offer relief to family members and clinicians as well, she observed, but in order to forge change at the institutional level, she knew she’d have to quantify and qualify the effect. When she enrolled in the School of Nursing’s doctoral program two years ago, the chance to link the built environment and health outcomes finally materialized. And St. Elizabeths Hospital proved the perfect case study. And while Hundt will continue to pore over archival materials throughout this fall and winter, she’s certain that the venerable hospital’s determination to soothe was vastly strengthened by its bucolic setting and thoughtfully unrestrictive architectural elements. Opened in 1855, St. Elizabeths Hospital – which purposefully and expansively brought the beauty of its natural surroundings to patients – once housed more than 8,000 mentally ill patients, including President Ronald Reagan’s attempted assassin, John Hinckley Jr., and in the mid-20th-century, the influential poet Ezra Pound. Its construction also marked a notable and seismic shift in how best to treat mental illness and the role that a therapeutic natural environment played in its cure in an era when the insane were often confined to jail cells or almshouses. With noted nurse and prison reformer Dorothea Dix and hospital architect Dr. Thomas Story Kirkbride among its early champions, St. Elizabeths’ buildings and grounds – while massive – kept nature at the core. Windows were expansive and channeled fresh air, while protective metal grates were tastefully designed to minimize feelings of detention. Steam heat was chosen purposefully, and forced ventilation indispensable. Brick, iron and stone provided the main building blocks – sourced locally and fired into bricks right on the hospital grounds – while hallways were flanked with potted plants and abundant natural light was complemented by ample common space devoted to gardening, a working farm, reading rooms and libraries. Patients, housed by gender and degree of illness, spent most of their waking hours in shared community spaces and solariums. More critical than the buildings was the role of St. Elizabeths’ nurses, who were tasked with bringing able-bodied patients outside each and every day. And while asylums would eventually become synonymous with poor conditions and abuse, notes Hundt, their flaw was in the belief of a curative approach. “Now we know that, just like we can’t cure many chronic diseases, mental illness doesn’t often have a cure,” Hundt said. St. Elizabeths, like many mental institutions, shuttered many of its facilities during the 1960s and 1970s as the nation moved to integrate the mentally ill into group homes. It continues to operate minimally today; since 2010, the few remaining patients and administrators occupy a portion of the east campus operated by the D.C. Department of Mental Health, while the western portion of campus – owned by the federal government – is being redeveloped as the headquarters for the Department of Homeland Security. 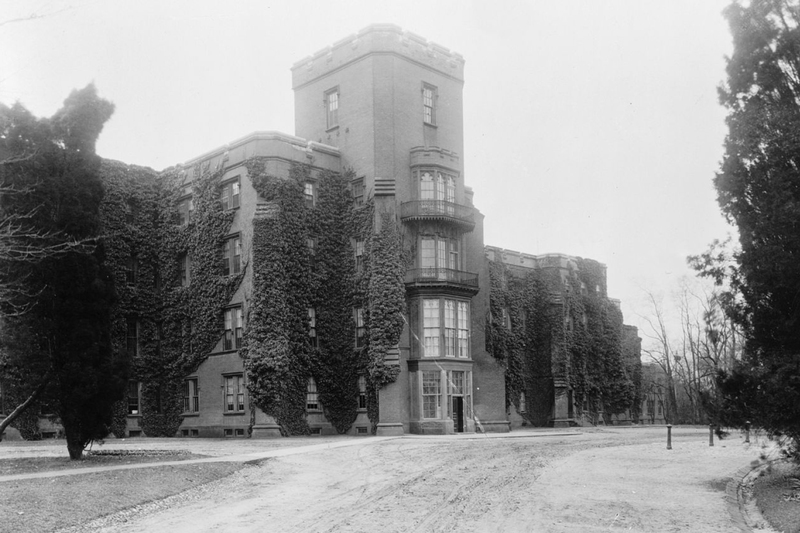 Hundt insists that institutions like St. Elizabeths still have lessons to impart. 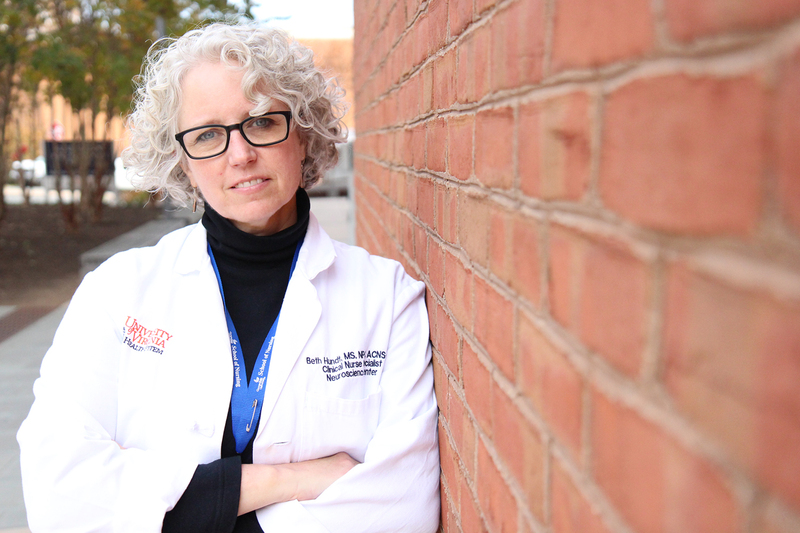 For Hundt, who today works as a nurse practitioner in UVA Medical Center’s stroke unit, the belief system that drove St. Elizabeths in its early days feels both timeless and familiar. She said modern hospitals’ appreciation and use of nature – through purposeful incorporation of light, fresh air and plantings and natural materials in public spaces, both in and outside hospital walls – is what’s best for the whole patient, and hopes her work adds fuel to the movement.